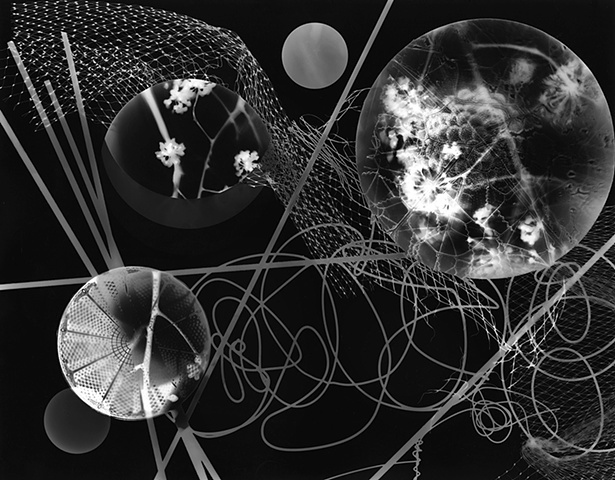 My photograms generate fictive universes that oscillate between earth and atmosphere. Using a variety of materials, including my own drawings, ink, flora, and found objects, I generate celestial abstractions. In the work, I fuse ethereal and substantive realms to create worlds without physical boundaries. The eerie environments form surreal scenes that might only exist in dreams.